For some reason when Aiden and I go to Five Guys for dinner disucssion breaks out. Maybe because on some cultural level “Five Guys” is like “Johnny Five” and there is a desire for Innnput. On the way home we passed “Toys R Us”, “I wish we could go there”, mused Aiden. We drive some more and pass an auto dealership. And then the question I did not see coming. 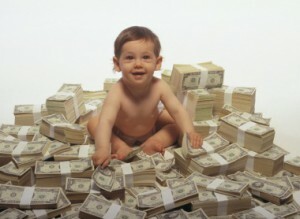 “Do you have that much money, Daddy?” (I wish) Okay, first I need to push him a little on division. “Aiden, do you remember we were opening peanuts at Five Guys and you took 3 peanuts and said you were actually taking 6 because each peanut wrapper (his term) has 2 nuts (sic) in them.” Aiden agreed. “Well, if you had all 6 of those nuts and wanted to put them back in the 3 wrappers how many would you put in each to make sure each one got the same number?” And after some prodding he agreed that it’d be 2. I continued, “So, I didn’t have $(rediculous amount) at once, but I asked someone if I could divide the amount in equal parts so I could do a little each month.” I then got him to multipy 12 (months) times 6 (Years) I decided to skip the fact that it’s a 75 month loan and we’re just not going to deal with the concept of interest. “I do chores” Which I draw out of him is work. “Every day.” We have a discourse about what I do, how it’s a bit harder than carrying the laundry or taking out the recycling. So he gets the idea that they give me more money for working than he would get. I tell him how much I make (net) in a month. Then I explain that by getting that much, I can use some of it to pay the amount I promised would cover each month. “Well, the people I agreed to use and pay for the Car from actually had the money to buy it all at once. But they trust me to pay them as I agreed. Can you think of the other things I have to spend money on every month?” He doesn’t have a grasp here so I add, “How about our House? We don’t actually own that. Someone else does. And we agree to pay them every month to live there.” He asks me (effectively) what the rent is and I tell him. By this time we are home. We walk in and then the next question comes. Sound like we are fast approaching, allowance management..